INLEAD - Job Oriented Program | 100% Campus Placements | MBA and PGDM Programs: What is Women Empowerment? This news was being telecast the entire day across various News channels in India. It was both disturbing and horrendously appalling, and was reacted to differently by different strata of the Indian Society. While for some, it was just news, some like me dwelled on the thought of what have we become as a society. In today’s times, Women "Empowerment ", "Emancipation", “liberation" and "Women Rights" seem to be the hot topics of discussion in the modern Indian society; the word “empowerment”, particularly, being misinterpret and misrepresented by both men and women. The definition of empowerment has been re-defined every now and then. For some it means financial independence, for others it implies freedom, while for some it signifies freedom of expression. In a recent debate I was witness to, on “the influence of western civilization on Indian culture”, someone mentioned that the concept of women empowerment is a contribution of the western world. Sadly, a rebuttal that followed was that this very concept had led to the introduction of addiction and adultery for Indian women. This brings about the fact that no matter how modern we act or behave, our thought process remains quite conservative. We have been blinded by our values and customs to an extent of treating empowerment in a sense of materialism, rather than an act of morality. On the other hand, some staunch feminists have created uproar in the name of women emancipation to fight against any kind of injustice or ill-treatment towards them. However, the definition of injustice is very subjective and vague in itself. Who is to decide, what is acceptable and what is not? 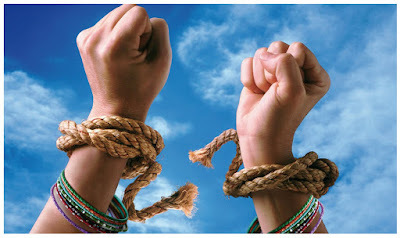 There have been examples where women have misused the concept of "Women liberation and rights" in order to get their way out, if they are unhappy with their relationship with their spouse, employer, colleague or in-laws. Let us understand what empowerment means. It means ‘to give power or uplift’. Despite worshipping our god in the form of “Ardha-Narishwar” – Lord Shiva in the Avatar of half woman and half man, we have never come to terms about treating each other equally. Most of the responsibility in this direction dwells on the shoulders of us men, for we have enjoyed being the alpha in the society, and still do. Breaking traditional stereotypes, both at institutions and homes, education must emphasize on the acceptability, inclusivity and gender equality. Ultimately, it all boils down to one single idea - Empowerment is the ability to lead one's life with dignity.